byte.to American Womens History A Very Short Introduction - Filme, Spiele, Musik, Bücher und mehr kostenlos downloaden. 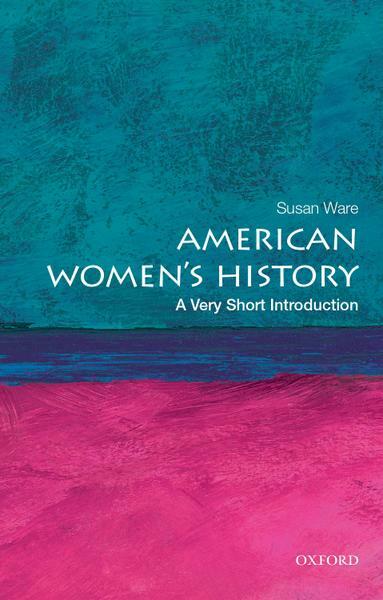 Susan Ware, "American Womens History: A Very Short Introduction"
In 1607, Powhatan teenager Pocahontas first encountered English settlers when John Smith was brought to her village as a captive. In 1920, the ratification of the 19th Amendment gave women the constitutional right to vote. And in 2012, the U.S. Marine Corps lifted its ban on women in active combat, allowing female marines to join the sisterhood of American women who stand at the center of this countrys history. Between each of these signal points runs the multi-layered experience of American women, from pre-colonization to the present. 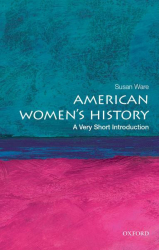 In American Womens History: A Very Short Introduction Susan Ware emphasizes the richly diverse experiences of American women as they were shaped by factors such as race, class, religion, geographical location, age, and sexual orientation. The book begins with a comprehensive look at early America, with gender at the center, making it clear that womens experiences were not always the same as mens, and looking at the colonizers as well as the colonized, along with issues of settlement, slavery, and regional variations. She shows how womens domestic and waged labor shaped the Northern economy, and how slavery affected the lives of both free and enslaved Southern women. Ware then moves through the tumultuous decades of industrialization and urbanization, describing the 19th century movements led by women (temperance, moral reform, and abolitionism), She links womens experiences to the familiar events of the Civil War, the Progressive Era, and World War I, culminating in 20th century female activism for civil rights and successive waves of feminism. Ware explores the major transformations in womens history, with attention to a wide range of themes from political activism to popular culture, the work force and the family. From Anne Bradstreet to Ida B. Wells to Eleanor Roosevelt, this Very Short Introduction recognizes women as a force in American history and, more importantly, tells womens history as American history. At the core of Wares narrative is the recognition that gender - the changing historical and cultural constructions of roles assigned to the biological differences of the sexes - is central to understanding the history of American womens lives, and to the history of the United States.